Are you in need of a cooler, but need a bit more flexibility – literally and figuratively? When it comes to coolers, RTIC offers some of the best coolers on the market, though the hard casing and exterior limits you to the spaces you can fit it in. The hard outer shell also brings with it a little extra weight. Pretty typical for any hard cooler, as we’ve reported that earlier in our RTIC cooler review post. BUT If you are looking for a softer cooler, then look no further than the RTIC soft cooler. In this RTIC SoftPak review, we’ll be covering the ins and outs of this pretty awesome soft-sided cooler bag. We’ll also be taking a closer look at how it stands up against the competition in this in-depth firsthand review. While RTIC’s advertising is bold and aggressive making claims like “Half the price and holds more ice”, we’ll see just how close they actually come to that in this RTIC soft cooler review. Let’s start, shall we? These coolers are no slouches when it comes to carrying your items and keeping them cold. 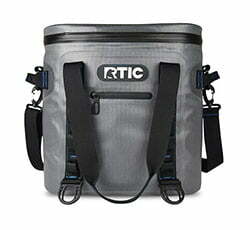 The RTIC cooler bags can hold small amounts of your favorite beverages to a little over a case and a half of cans. Let’s take a closer look at what you can expect when you purchase an RTIC cooler bag. Looking for RTIC Day Cooler Review? Luckily, since it is a soft cooler, there’s not much damage that can be done to it in transit and during the shipping process. Once you open the box, you will find it like the other RTIC products in a transparent bag. Opening the cooler itself, you will find zipper lubrication and a shoulder strap. Other than cutting off the RTIC product tag like you’d find on other coolers in the store, your new shiny RTIC cooler bag is ready to go. Just add ice and you can start using it right away. These coolers are built much more differently than your garden variety soft sided coolers. If you have ever carried one that you may have picked up at your local store, you will begin to notice the extreme differences upon initial inspection. RTIC’s soft cooler is really well built and although we’ve only used it for couple of weeks, it seemed very durable and long-lasting. A pleasant surprise. On a side note: If you’ve been following bestcooler.reviews for a while then you may have noticed that we hadn’t been featuring RTIC products in the past. Now, however, once we reviewed different products by RTIC just recently (the hard cooler here, followed up with an RTIC koozie review, and now the soft one), we are starting to think of updating some of our posts to include RTIC products. But let’s move on with the review. Since this is a soft cooler, you will find much more flexible material. What you will find in the RTIC SoftPak cooler is up to two inches of closed-cell foam insulation. This kind of insulation, which is also used in wet suits, is known for its ability to hold in cold and resist water. You will notice just how thick the insulation is upon opening it up for the first time. You will find it to be much thicker than you would see on normal soft sided coolers. The thickness of the insulation is comforting, as you can see that it has the potential to hold ice for much longer periods of time as opposed to thinner insulated soft coolers. While the exterior may be made of soft material, it doesn’t mean that it cannot withstand harsh conditions. 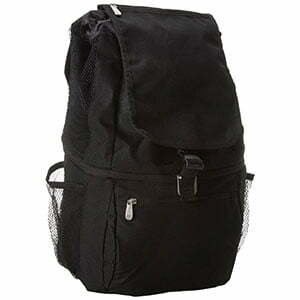 The heavy-duty nylon shell is puncture and tear resistant. What you’ll find is a SoftPak cooler that doesn’t really function like your typical soft cooler. 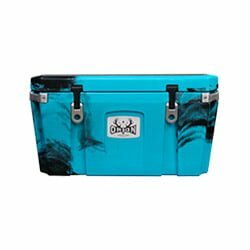 This cooler does well on the boat, fishing or even at your campsite. The flexibility of the cooler itself will also make it a bit easier to handle if confined spaces and excess weight may be of a concern of yours. Heavy duty carrying handles and a shoulder strap will make transport on the go much easier. What you’ll often hear about other coolers is their inability to keep its contents secure. One tip of those other coolers and you’ll find liquid leaking out in all directions. The waterproof zipper you’ll find on the RTIC soft coolers will ensure that all of its contents stay firmly where they need to be. As with some zippers, use over time can cause them to break down or tighten up. RTIC has already taken care of this concern for you, as we mentioned earlier that these soft coolers come equipped with zipper lubrication. This ensures a longer life for your cooler as well as an ability to get full use out of your SoftPak. The RTIC SoftPak is by no means “soft”. These lightweight and durable coolers come with laminated fabric and welded seams that are RTIC tough. Where other softer coolers may break down, the RTIC soft coolers can withstand the adventures you’ll take them on. This is always a question that comes up when it comes to coolers. Just how long will they keep ice frozen? One may think that soft coolers won’t be able to keep them frozen for very long, but that’s not the case. 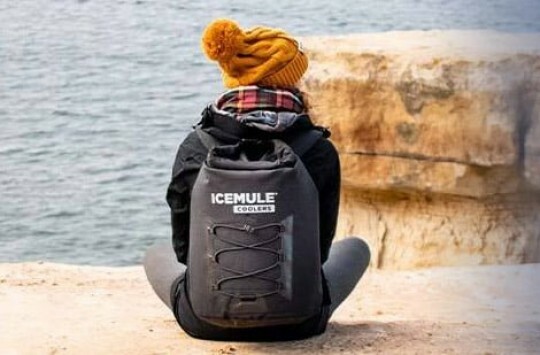 With a waterproof zipper and 2 inches of closed cell insulation to lock in the cold, RTIC reports that this cooler will keep ice up to 5 days. In our recent test the ice was still there after almost 3 days so we believe 5 days may indeed be possible depending on the specific use case, the weather and the storing conditions. Often times what you will find with the variety of other coolers, is that they are either too small or too big for your needs. If this has been a concern of yours, what you will truly appreciate in the RTIC cooler bag lineup is a wide variety that can suit the individual’s needs as well as a larger group’s needs. Here’s a closer look at the available sizes. First up in the RTIC soft sided cooler bag lineup is the RTIC SoftPak 20. This soft cooler still functions well for just one person and with the added space, you could easily store enough food and drinks for the entire day if you will be going solo. It’s also a nicer sized cooler should you want to pack for a handful of people. When it is empty, this bigger sized cooler doesn’t come with much extra weight. This model weighs unpacked at 3 pounds. Outer dimensions on this cooler is 14” x 13 ¼” x 9 ¼”. You can store 30 cans worth of your favorite beverages in this cooler. When you are looking at a pure capacity, you will find the ability to store 20 pounds of ice, 15 quarts or 3.75 gallons. When you are talking about SoftPak coolers and size, the RTIC SoftPak 20 is no slouch. You can take this model to the job site to store meals and drinks for you and some friends, you can take it on weekend trips or even just shorter trips, and it will still fit nicely in the back seat of your vehicle. If you are looking for something a bit bigger, what RTIC offers is the RTIC SoftPak 30. This is the midsized cooler in the RTIC soft cooler bag line. If you will be traveling with, or will be around larger groups of people, then this cooler will fit the bill. When it is empty, it weighs 4 pounds. While it is a little shorter than the RTIC SoftPak 20, it is wider in its other dimensions. The outer dimensions of this cooler stands at 13.5” x 15” x 11 ¼”. 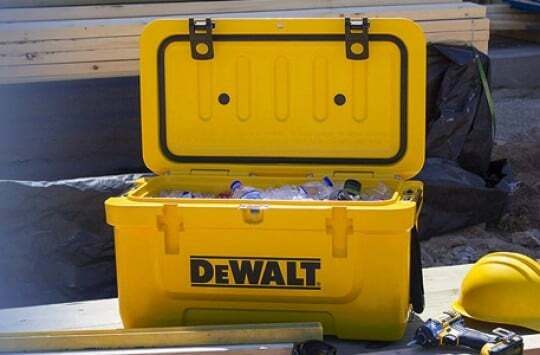 You can store a case of your favorite beverages in this cooler as it will accommodate 30 cans or bottles. At a pure capacity of what the RTIC SoftPak 30 can hold, you are looking at 30 pounds of ice, 22 quarts or 5.5. gallons. If you are looking for a mid-sized soft cooler, then this may fit all of your needs. This RTIC SoftPak 30 works well as a multipurpose cooler. Given the additional larger storage space, you may be concerned with its durability being a soft cooler. No need to worry as it is wrapped in a vinyl shell that is extremely heavy duty, and much stronger than other soft coolers you may have seen. You’ll even have extra space with the external pockets. 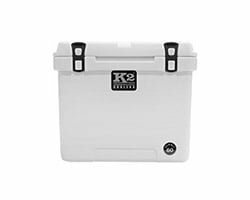 It will function well on boating and fishing trips, at your camp site or even if you need an extra cooler for that tailgate party at the big game. Speaking of game, this cooler will also store and work well for you, if you will be hunting small game. The last soft cooler in this line won’t disappoint. The RTIC SoftPak 40 is the largest that RTIC offers and you won’t be disappointed. If you are looking for a large cooler on the softer side, then you will definitely want to take a closer look at this one. When it is empty the RTIC SoftPak 40 comes in at 5.5 pounds. Its outer dimension’s measure in at 17 ½” x 18” x 11 ¼”. You will really enjoy the storage space of this cooler as you can house 40 cans of your favorite beverage. When you are talking about pure capacity, you will be pleasantly surprised with a storage space of 40 pounds of ice, 35 quarts or 8.75 gallons. To put that in perspective, just imagine pouring not one, but almost two of those 5-gallon water bottles normally sitting on the water cooler in your office, into the RTIC SoftPak 40, then you can gain a better idea of how much pure capacity you are looking at. You will get all of the additional storage space, with less of the bulk that comes with other non-soft sided coolers. You have room for nearly 2 cases of drinks that can be kept cold for up to 5 days. Tough and reliable carrying straps ensure that the extra weight won’t make it difficult to carry or break down. What more could you be looking for in a large soft sided cooler? What you are getting with the RTIC 40 is space that you can take on the long haul – offshore fishing, longer camping trips and even acting as your go-to party cooler. If you have been looking for a larger soft sided cooler, then this may just be the one that you have been searching for. Currently, the lineup of RTIC soft coolers comes in a variety of color choices including camo outer shell. Here are some of the features you will find with the RTIC cooler bags. If you’ve been on the fence about these coolers, then you may want to take a closer look at the following features. 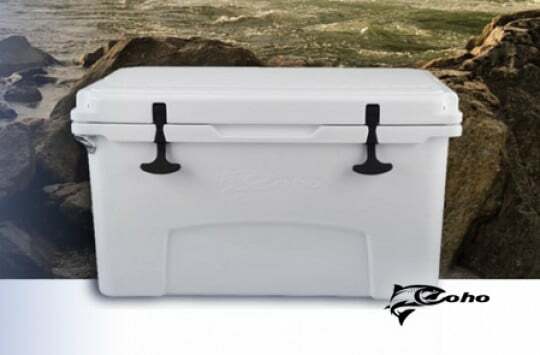 A wide flip top at a generous 2 inches thick ensure easier access when you want to retrieve items from your cooler. On other soft coolers, you’ll notice that the tops are a bit thinner, making it a little difficult on the go when you are trying to open it up. Coolers carry a lot of ice and the RTIC soft coolers are no exception. With other softer coolers whose linings are thinner, you may find them sweating through to the exterior leaving moist and wet areas where you may be placing it. The no sweat exterior makes sure that you can leave it on the backseat or even on the couch without it leaving water marks. An anti-microbial liner inside of the RTIC coolers will give you peace of mind knowing that you won’t have to worry about mold getting into your food and drinks. This is an important feature, especially if you will be using it on a regular basis. Cleanup will be a breeze with the 100% waterproof material that RTIC soft coolers are made from. Spilling food or drinks in the cooler won’t be a problem as you can easily wash it out and leave it to dry. Who Is The RTIC Soft Cooler For? These soft coolers are perfect for individuals of all walks of life. The lighter soft material makes it easier to transport, and the various sizes make it an ideal companion for the outdoors individual looking to take a short trip with just another person or even a few others. The larger sizes of the RTIC soft cooler make it the great addition to your next tailgate party or as the ultimate party cooler. Once you are done, clean up and storing won’t be an issue as it is lightweight and water proof. RTIC SoftPak Reviews – What Are Actual Users Saying? Here’s where we can find out how these coolers actually perform. Let’s take a look at what users are saying. One user mentioned the easy flip top lid being one of the key reasons that they enjoy this cooler, and noted that the insulated lid even keeps a tight seal when its unzipped, which saves time having to zip and unzip each time they want to access contents of the cooler. The user even went as far as calling it the best soft cooler they have owned by far. Another user said that it worked well and found it to be more ergonomic and better shaped than its competitors. They also found it to be a better value as the purchase price was a third of the comparable competitor’s product. Yet another user praised the product as it performed well. The only mention of a drawback was stating that the zipper was hard to open and close, but guessed that it was due to the cooler being leak proof. As mentioned earlier, what you also get with these coolers is zipper lubricant, which should help with the opening and closing if it gets a bit tighter. And what do WE think? These comments resonate well with what we’ve experienced while using our Softpak 40 cooler for couple of last weeks. In simple words, it does the job, it doesn’t cost as much as some of the others, it’s durable and it looks pretty good. What else would one want? Yeti Hopper, perhaps? 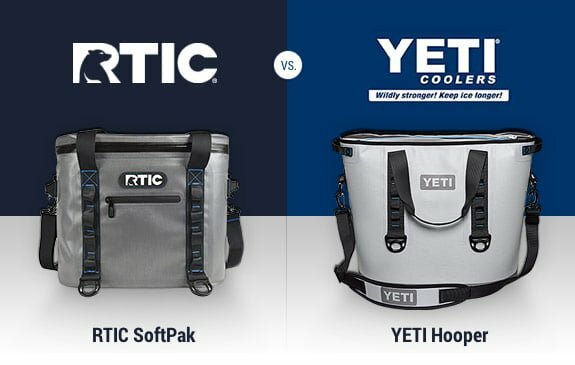 🙂 Well, speaking of Yeti coolers, we couldn’t have completed this RTIC soft cooler review without comparing RTIC to Yeti Hopper! Chances are that you have already looked at the similar Yeti Hopper. Now, you may be wondering which one to choose, and as we would like this to be a true comparison and unbiased, we’ll stand them side by side for a closer look. We will also tell you what we like about each and why you may be prone to choosing one over the other. Let’s stack them up. First, we will take a look at the different sizes, available space and design of each. We are including the Hopper Flip 12 on this list, but please keep in mind that it compares to the RTIC Day Cooler. We are including it here as it is larger than the RTIC Day Cooler, which you can read about later in this review. According to the RTIC website, they claim their SoftPak coolers will hold ice for up to 5 days. According to Yeti’s website, they make no claims on the Hopper’s ice retention times as there are many variables that can come into play. They do however offer a guide on how to maximize ice retention times. When you take a look at both of these side by side, we would have to go with the RTIC cooler bag simply because of cost. They function almost identically and many users online say the same. This means you can get the same quality and performance at a much lower cost when you choose RTIC’s SoftPak coolers. Now, with that said, if you ask us which we’d prefer from a purely aesthetic standpoint, we would choose the Hopper because we love the way it looks. Again, keep in mind that if you do choose stylishness, then you will have to pay for it as the Hopper comes with a much higher price tag. The Hopper also has many highly-rated reviews as well. Getting down to it though, for us and probably most users, the priority is with the performance and price and not so much in the way the cooler looks. So, what we decided to go with in the end is the RTIC SoftPak over the Yeti Hopper. What if you don’t need to pack for several people and just need a better lunch box? Who couldn’t use one of those, right? Luckily there is a soft sided cooler that’s perfect for everyday use, as a personal lunch cooler. This cooler won’t leave you with melted ice within a few hours, or food and drinks that are not as cold as you would like them to be. 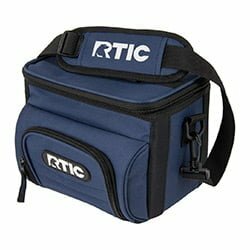 The RTIC Day Cooler is perfect for your daily meal needs. Just as the name implies, this one is geared more towards the individual who wants to pack lunch for one day (24h). You can easily store up to six bottles or cans of your choice with ice. When it is empty, this lunch cooler bag is just two pounds. Outer dimensions depends on size you choose – there are: 6, 8, 15 and 28 can sizes available. As mentioned earlier, in the smallest option you can fit six bottles or cans of your choice with ice. The pure capacity of this cooler stands at 8 pounds of ice, 5.5 Quarts or 1.37 gallons. This RTIC Day Cooler, available on Amazon right here, is perfect to take on the go if you will be fishing, tailgating or even if you need an everyday cooler for your lunch. 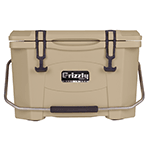 It also functions well if you need a cooler to store small game on your one-day hunting trips. 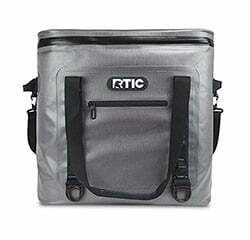 RTIC Day Cooler – soft sided cooler perfect for everyday use! One user said it was the perfect daily cooler to carry on the go and found it to be leak proof through testing. The user also stated that they hold to the belief that you won’t find a more durable cooler. Another user said that the cooler performed as they expected it to and as the listing stated that the cooler would perform at. One user’s only drawback was the inner size of the cooler. This really comes down to the individual and how much they want to carry. 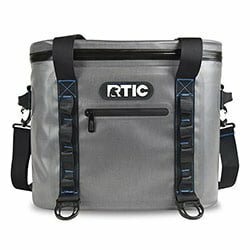 Where To Buy RTIC Soft Coolers? So, here’s the big question after you have seen anything and everything you may want to know about the RTIC Coolers – Where to buy RTIC coolers? According to RTIC’s website they are a direct-to-consumer brand which means that they don’t work with traditional retailers or dealers, so you won’t see these in the stores. However, we have recently seen them on Amazon and they look to be actual RTIC coolers from the manufacturer. The price was also very good. It’s worth checking out, here’s the link we’ve used. Our tip with this one is to check out Amazon first, and if you can’t find it there then go to the actual RTIC website. We hope that you have found what you were looking for in this RTIC soft cooler review. We took all the information, in-house test results, plus user feedback to give you the most comprehensive RTIC SoftPak review. The bottom line is that if you are looking for a soft cooler that performs just as well as the others you have seen, and want to save some money, then you can’t go wrong with a RTIC soft cooler.